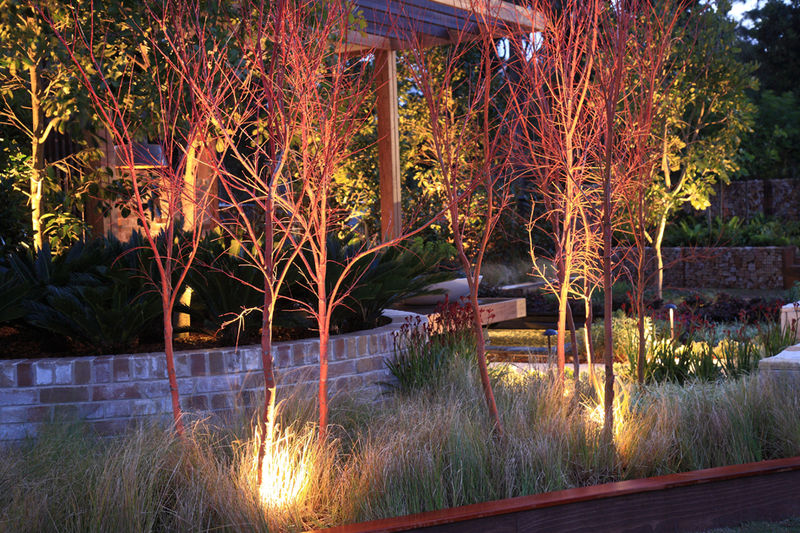 Maximise the functionality of your outdoor areas by making your landscape investment shine through the evening and into the night. Focus attention on a focal points or guide visitors along a path. Security and safety are important benefits provided by garden lighting by adding motion sensors. Illuminate your entry making it safer for your guests to arrive & depart or for delivery drivers to find you. Garden lighting will add depth and a touch of the spectacular to your landscape if considered and integrated into your landscape master plan. Picture shimmering water reflections or leafy silhouettes adding dimension to your night garden.